If you need to get a new or replacement boiler, then it could be a tiresome exercise to sort through all the listed boiler installers in the phone book or to visit each of their websites (if they have one). 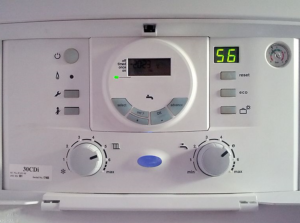 Your best bet is probably to go to a price comparison website and look for a boiler prices guide. Combi boilers do instant hot water but don’t work well in larger homes with many simultaneous hot water demands, but they are cost effective and easily fitted. Prices can depend on the power of the boiler needed – and with combi boilers you should pay attention also to the “flow rate” – this is how fast the water can be run and keep hot. It is recommended that if you have your boiler replaced, then get it “decommissioned’ and the new one fitted by a certified engineer (“gas-safe”).